Today crossing breeds have become a popular option, as people enjoy crossbreeding for the best traits of both breeds. One crossbreed that has only been around for about 20 years happens to be the Goldendoodle. This breed was created around the same time that the Labradoodle was also created and they are very similar breeds. If you're considering the purchase of your own Goldendoodle, here is a look at important breed information you'll need to know. First, it's a good idea to learn a bit about the origin of the Goldendoodle. This dog happens to be a Golden Retriever Poodle mix. 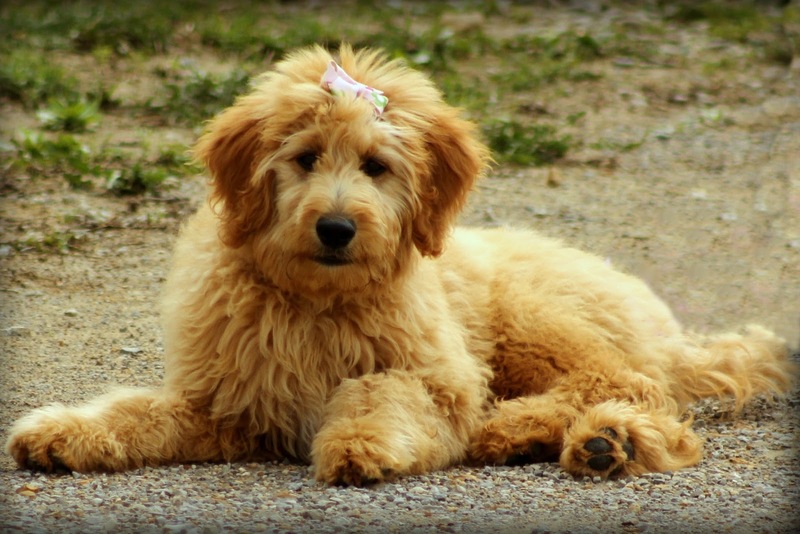 Some of the other names that are commonly used for this breed include Goldie Poos, Groodles, and Golden Poos. Since some other poodle hybrids that were smaller were very successful, breeders soon decided to try breeding Goldens with a Poodle, making a larger pet that is allergy free. The hybrid turned out wonderfully and this breed quickly became popular. The Goldendoodle displays hybrid vigor since they are a first generation cross in most cases today. Basically, this means that since the dogs are the very first cross between two lines of purebreds that are unrelated, they end up growing better and are healthier than both of the parent lines of dogs. This cross has created Goldendoodles that are intelligent, easy to train, friendly, and affectionate. However, as other generations are created, the vigor can be lost. The parent lines of the Goldendoodle both happen to be water dogs and hunters. When it comes to the physical appearance of the Golden Retriever Poodle mix, they may look like a poodle that curls relaxed or they may even look like a retriever that is very shaggy. However, usually, their look is somewhere between the two. Usually, the length of their fur ends up being between 4-8 inches in length. Their coat color can vary. A few of the colors may include versions of chocolate, black, gold, cream, apricot, phantom, or party. As most of the other poodle crosses, the Goldendoodle usually does not shed much, which means that they are great for families that have allergies that are mild. It is possible to find miniature Goldendoodles as well. This occurs when a toy or miniature Poodle is one of the parents. A miniature Goldendoodle will usually be between 15-30 pounds. For those who want smaller dogs, the miniature Golden Retriever Poodle mix is a great option. When it comes to the weight and the height of the Goldendoodle, it depends on the parentage of the dog. Usually, to get the average weight of adult dogs, you can add the weight of each parent together and then divide it in half. Of course, in every litter that is born, some puppies may end up being heavier or lighter than the weight that is projected. Standard Goldendoodles are usually predicted to be over 45 pounds when they reach adulthood. Miniatures usually are below 30 pounds. However, it is important to note that Goldendoodles in the past have ended up weighing over 100 pounds. One of the wonderful things about the Goldendoodle is their temperament. They are wonderful dogs for families and are both obedient and intelligent. These dogs are devoted to family and are extremely friendly. The Golden Retriever Poodle mix is wonderful with children and very good with other pets too. You'll find that they are happiest when they are around humans. Since they are eager to please, they love to learn, and they are very intelligent, they are extremely easy to train. If you plan on owning your own Goldendoodle, it's a good idea to know about any possible health issues that may occur. The good news is that since the Goldendoodle is a hybrid cross, they usually will live longer and will be much healthier than the lines of the parents. However, these dogs are prone to the genetic diseases that the Standard Poodle and Golden Retriever deal with. While there are no big health concerns to worry about with the Goldendoodle, a few of the minor concerns to keep in mind include patella, PRA, Elbow, CHD, and VonWillebrand's disorders. It is suggested that these dogs get vWD, eye, and hip tests are done. The Goldendoodle ends up with fur that is usually a combination of poodle and retriever like hair. Fur may reach 4-8 inches in length if it is not clipped. It is important to ensure their fur is combed on a regular basis. If you plan on clipping the Goldendoodle, this should be done several times within every year for the best results. James Drake is a Golden Retriever enthusiast and enjoys helping others taking care of this amazing breed. For more great information on the Goldendoodle, visit http://www.golden-retriever-guide.com. Having a pet dog like a Groodle is likened to giving oneself a very special gift. It may mean a tiny penny taking care of it, yet for pet lovers, the costly grooming and nutrition requirements are plain obligations parents should take in hand for the betterment of their little ones. Pets are more than just home buddies. These can be anybody's companions even in extreme outdoor adventures. And if someone needs to be at home for the whole week while everybody others are on holiday, these great chums can definitely fill in the presence of their loved ones. Groodles are also called Goldendoodles . They come in a plethora of sizes but regardless of physical magnitude, they are still huggable. Like bears, they are indeed as cuddly. What is more, Groodles are pretty versatile, gentle, and affectionate. Finding a perfect breed can never be a breeze, but nonetheless, there has to be a good breeder out there with a good guarantee of a buyer's money. Hence, one should spare adequate amount of effort in seeking for an ideal source of Goldendoodle Illinois; if not, he would end up regretting each time he realizes how wrong he was for picking a wrong dog. Good breeders are popular to people. It may be wrong to resort directly to someone who has the loudest name but it is also not impractical to assume that this is beneficial somehow. Word-of-mouth can be an effective way of advertising, and pretty sure, people behind it do just not makeup stories so as to become helpful. A perfect breed is not only about its physical appearance. 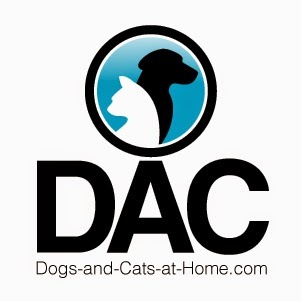 While it is tempting to buy a cute bow-wow with the finest fur and pretty face, it is important to recognize the nature or temperament of the dog regardless of how tamed it is at first glance. There are Goldendoodles that can be aggressive depending on how they are raised. The characteristics of the dog are not easy to determine in a snap. It is best to spend time at the pet shop or kennel where they are raised and sold. Just like a person, though, a dog needs some time to adjust with a stranger. Hopeful pet owners must wallow in their verdicts about buying especially when faced with critical issues regarding health and finances. It is nice to have pets but if they jeopardize them in many ways, they had better insist not on a decision that can result in their own misfortune. Dogs need adequate vaccination and nutrition . If their owners fall short in providing their basic needs, they had better say goodbye to them any minute. As much as dogs need special attention, these also need to be heartfelt care. Interested individuals must acquaint themselves about the things they consequences of owning one. Other owners can give them hints on the right ways of raising pets. It pays to ask. Dogs are amazing creatures. They are brilliant entertainers for anybody down in the dumps as well as great buddies for lonesome individuals. Buying one can be a lot, but as long as one has a friend to hold on to whenever he needs one then his decision is perfectly justified. You can visit www.ericasdoodles.com for more helpful information about Why A Goldendoodle Is A Perfect Pet For Anyone. Today crossing breeds have become a popular option, as people enjoy crossbreeding for the best traits of both breeds. One cross breed that has only been around for about 20 years happens to be the Goldendoodle. This breed was created around the same time that the Labradoodle was also created and they are very similar breeds. If you're considering the purchase of your own Goldendoodle, here is a look at important breed information you'll need to know. The parent lines of the Goldendoodle both happen to be water dogs and hunters. When it comes to the physical appearance of the Golden Retriever Poodle mix, they may look like a poodle that is curl relaxed or they may even look like a retriever that is very shaggy. However, usually, their look is somewhere between the two. Usually the length of their fur ends up being between 4-8 inches in length. Their coat color can vary. A few of the colors may include versions of chocolate, black, gold, cream, apricot, phantom, or parti. As most of the other poodle crosses, the Goldendoodle usually does not shed much, which means that they are great for families that have allergies that are mild. If you plan on owning your own Goldendoodle, it's a good idea to know about any possible health issues that may occur. The good news is that since the Goldendoodle is a hybrid cross, they usually will live longer and will be much healthier than the lines of the parents. However, these dogs are prone to the genetic diseases that the Standard Poodle and Golden Retriever deal with. While there are no big health concerns to worry about with the Goldendoodle, a few of the minor concerns to keep in mind include patella, PRA, Elbow, CHD, and von Willebrand's disorders. 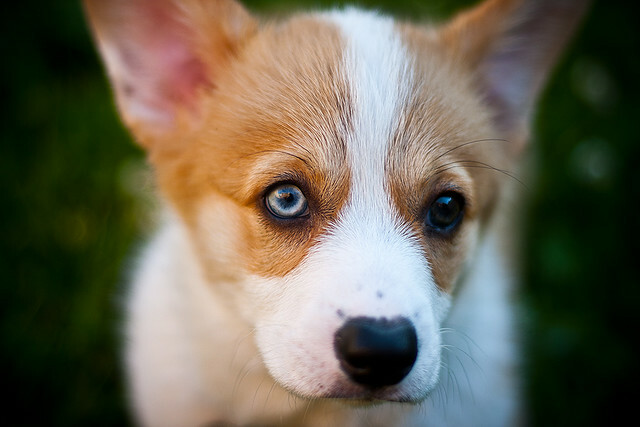 It is suggested that these dogs get vWD, eye, and hip tests were done. Most of the time it is very confusing to choose a breed for a canine that you want to adopt because of the number that they have. Aside from that, it is even more confusing now that there are cross breeds. One example of a cross breed is the Goldendoodle. From the name itself, it originated from the Labrador Retriever and the designer Poodle. Because of this appearance, breeders were able to develop a canine that is close to an adorable bear. This is just one of the breeds that you can get if you are thinking of purchasing a canine as a pet. Most people in the city of Texas, especially families, have Goldendoodle puppies for their pets. If you have your own family, it would be a good idea to consider their choice. If you are interested, read on for some of the most basic information regarding this interesting canine. There are many notable features about the breed that you should learn if you are thinking of adoption. First are the interesting coats that they have, which by the way comes in various shades. It is very beneficial if you are looking for a specific shade. You just have to be careful about the coat texture. There are those that can be really frizzy while others are really soft. When it comes to physical activities, they are in need of the average exercise. This means that they are slightly athletic. But even if it is just moderate exercise like walks or running around the yard, you still have to do it everyday. They do not really feel comfortable when they are idle for the entire time. One trait that serves as the highlight of their personality is their naturally caring attitude towards people. They are especially empathic to those who are not feeling well or people they feel are going through something at the moment. When you feel that your day just keeps getting worst, a hug with them would be very therapeutic. If you are the one who adopted them, you can expect their loyalty as well. This is due to the fact that they are easily and strongly attached to their humans. This is the trait that makes them really different from others and makes them the best type of canine to be around children. Families with children and have this type of dog adore them. Teaching them several things such as what are the things that they can and cannot do inside the home would not be too hard of a task. They are very intelligent and they can pick up instructions and tricks easily. But you have to improve the way they interact with others. If you are looking for a dog that you do not have to take to the grooming shop every now and then, this is the canine for you. Their coats are usually a mixture of both their parent breeds. But they usually take after the Poodles when it comes to the shedding part. It is necessary however that you comb their coats every now and then. You always have to remember that research is a very important part of knowing which breed is the right one for you. You need to know their needs first to determine if you can keep up with it. And you also need to know their personalities and see if both of you would agree with each other. You can visit southerndoodlin.com for more helpful information about More Information Regarding Goldendoodle Puppies.